If you are searching for an Audi dealership in the greater Akron, and Canton OH area, you have come to the right spot! 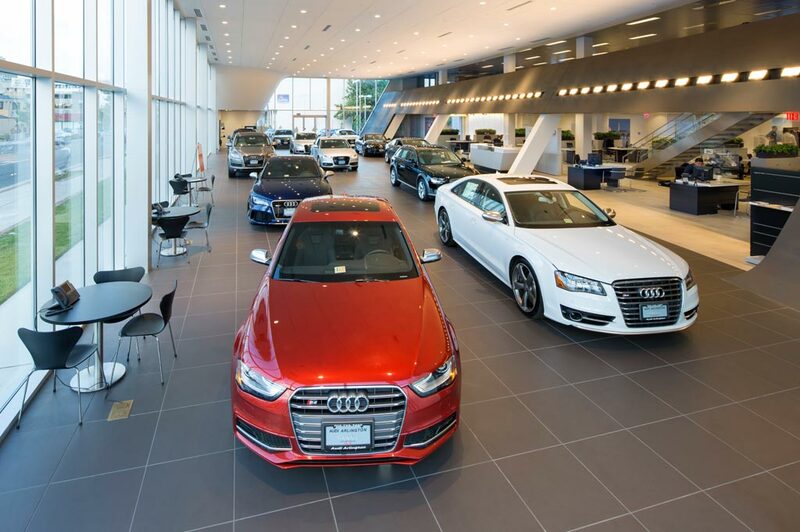 Audi Cuyahoga Falls offers an envious selection of the season's hottest-selling new Audi models as well as wide selection of reliable used cars. In understanding that every driver wants to shop for a car differently, Audi invites you to explore our new Audi and used car inventories online or in person. Whatever you prefer, just know, our expert staff is renowned in and around the Akron region for their ability to listen to drivers' needs, and help them find just the right car and/or services to suit their lifestyle. What new Audi models do you have to choose from at Audi Cuyahoga Falls? The answer is many, which sounds vague, we know. But it's true. What we can tell you is that among the most popular are the A3, A4, A6, Q5 and Q7. That said; we recommend you keep an open mind. For, your criteria might be different from Jane's and Joe's, down the street. And, remember while our online inventory is always evolving, it's also always up to date. Want or need less of a commitment? Audi Cuyahoga Falls has a dynamic collection of hand-picked used cars in Cuyahoga Falls as well. Also perfect for taking to the roads of Akron, and Canton, OH, they look like new. They even drive like new. Really, the only non-new thing about them is their highly-approachable pricing. While our assortment of new and used vehicles may be overwhelming (and we mean that in good way), the financing part is easy as pie at Audi Cuyahoga Falls. This means the fun of choosing your new set of Audi wheels isn't diluted by the stress and/or headache of figuring out terms and conditions. Not only will we do the negotiating for you and get a car loan or lease at optimum rates. We'll explain everything in everyday lingo so that there is no confusion as to what you're signing on for and you realize just how good a deal we got you. To help protect your investment, commit to routine visits to our Audi service center. Our state-of-the-art service shop is fully equipped to handle everything from routine oil changes to larger car repairs such as brake and rotor replacements. Not sure what that squeak or grinding sound is? Bring it in for a diagnosis. And be sure to check your warranty. Your service or repair might just be covered. Audi Cuyahoga Falls encourages you to browse our site to learn more about our new and used Audi vehicles, auto parts and service. If you're ready to take a test drive, simply stop in and see us in person at 4149 State Road Cuyahoga Falls, Ohio during regular business hours. We're happy to get you behind the wheel. Additional areas we serve include: Stow, Tallmadge, Akron, Kent, Hudson, Portage Lakes, Streetsboro, Barberton, Norton , Ravenna, Green, Canton, and Wadsworth, Ohio. Audi Cuyahoga Falls is a new and used Audi dealer in Cuyahoga Falls, serving Akron, Kent & Canton OH.